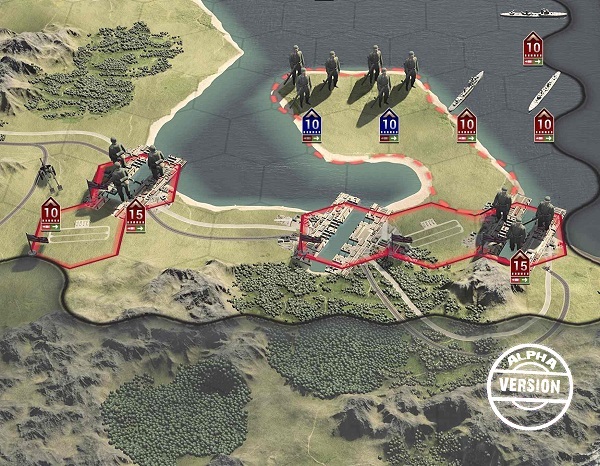 Welcome to the first issue of Panzer Corps 2 Developer Diary. The initial announcement of Panzer Corps 2 was a little while ago now, and we understand that it left many people waiting for more information. In this issue we will try to provide a general overview of where we are going with this project and what to expect from it. We will provide much more information on each individual aspect of the game in future diaries. Did I miss the expected roll out date? Any idea when? And will there be an opportunity for testers to help sort out the bugs early? Good luck. Kind of looking forward to it although I agree the graphics seem a little lame at the moment. There should be a 2D option. What exactly does a "spiritual sequel" entail? Personally, I've never been too terribly concerned with graphics. Sure it would be nice if it was prettier, but getting too pretty causes problems too. Mostly in the form of game performance and system requirements. If you've ever sat through disgusting long load times of Xcom2 or BattleTech, even after installing on an SSD drive, you know what I mean. Panzer Corps was great for being approachable, I'd hate to see it ruined by high system requirements and disgustingly long load times. That said, since it's going to be a 3D game engine, I would think there would be some kind of zoom or camera controls to actually look at everything from many angles. I'm more interested in the new mechanics and seeing how they play. For example, splitting sounds interesting, but it pretty much goes against all the rules of good combat. You should always consolidate strength, not spread it, especially in long PVE campaign environments where snowball effects make winner win more and losers lose more. Is it actually going to be effective general tactic, or a gimmick that requires specific scenario design to enable functionality of? I mean, if splitting a unit takes extra core slots, why not just have full normal core slots of cheaper units and have them all proper 10 strength instead of expensive 5 strength units. It's generally always better to have weaker 10 strengths than stronger 5 strengths. This is why all those custom maps with 1 and 2 strength Tiger tanks units were interesting in concept, but invariably failed in practice. So we'll see with more information or something actually hands on how the new rules hold up in practice, and if they expand the design and tactical possibilities of the game, or if they actually inhibit it instead. We have some really interesting news about multiplayer - but we have further dev diaries planned, which will be published during the summer. I completely disagree, I am in early accesa if Panzer Strategy and for now its totally unplayiable because balance, and game play, and 3D animation are terribly boring and unusefull. I like more much OOB animations. When writing my response for another thread, I came up with this idea, so excuse me if I double post this part, but I found this thread later and more suitable to post it. An interesting way to solve this 3d 'issue' would be to keep the generated 3d terrain as it is, but make the units very small, like the size of the trees (yeah those cous-cous looking grains ) in the OP's 2nd attached screenshot. The hex size could be a third the size of what it's now. At this zoom level (please refer to the screenshot again) the units would look like small specs, but would have a quick-id icon over it. When zoomed-in, one can see the models and battle animations better, and since each unit would be represented with more unit models, battles like infantry vs. infantry or tank vs. infantry could look more alive. Just imagine an infantry unit with 10 repeated models attacking the port like it is in the screenshot, or a group of tanks moving across the flat fields. Then the zoom-in serves as a more 'tactical' map mode, and the zoomed-out as a strategic mode. The reasoning behind the above suggestion is to utilize the appeal of terrain that is now generously offered in 3d. So why not taking everything else into the next step as well? Think somewhere between Rome Total War and Civ 5 for example. The screenshots are looking better since the first ones were shown. The scale was waaaay too large earlier. Glad to see some improvements. I still think the scale is bit too large for ground units. This is starting to look more similar to Panzer General 2 and less like PG 3D. IMO should not go 3D until Panzer Corps 3 is out. 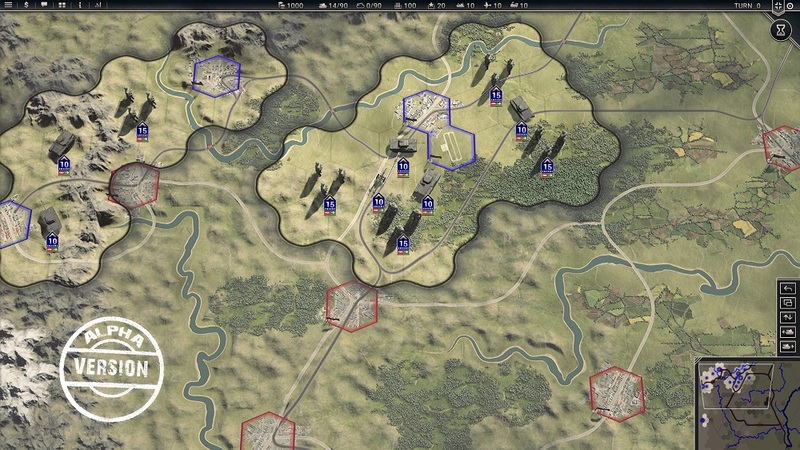 Better to keep it closer to Panzer General 2 with more realistic graphics and scale. Keep up the good work and improvements. Well, good to see something at long last! The introduction of encirclement is also potentially good, depending on how it's implemented. Not so sure about overruns, I don't think they are needed, and could be easily abused. Tanks/artillery are already dominant in the game; add in overrun for fully suppressed units, and I can easily see all-tank/artillery armies being completely dominant. Interested to see what devs come up with for the naval innovations. It's really hard to make a naval game and a land game co-exist and both be compelling. Naval not only operates on different "terrain", but vastly different time scale as well. Much of the interesting naval battles in WW2 occurred at nighttime, and things like surprise, starting range, torpedoes, radar, and positioning (crossing the T) are among the crucial elements that make naval combat interesting in this period. Hard to capture the essence of that in a quasi-operational level game in which individual units line up and shoot in an orderly fashion at one another - but I'm glad you're giving it a go! Splitting units will presumably be important if you're trying to encircle an enemy group, but as others have said it goes against the core combat mechanic of the game, so you'd want to have a good reason to do it. When you see 3D moving you'll understanf why it looks so cool. Obviously all you have so far is flat screenshots so clearly you cant tell why its better than 2D pre rendered. These are pre alpha screens. The size of units has not been set. Everything is likely to change. Hi Ian, I love so much 3d animation and moving of OOB, specially I love that infantry has improving weapons: ex in 39 only guns and molotov, after handbombs, machinegun, gunbombs and finally bazooka, panzerfaust or piat. I hope we can se something similar (or more better) in PC2. Finally some news!!!!! Can't wait to play! I hope its ready by Christmas. Splitting units in two sounds interesting, but I understand it costs another unit slot? Then why not just use another unit, and all with full str. Unless it's a prob to fill the slots...I guess we need to see how it works in detail.